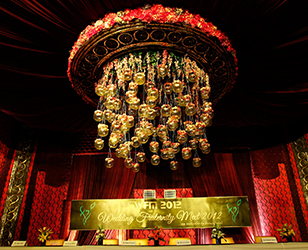 Ferns N Petals (FNP) expresses heartfelt gratitude to everybody who made Wedding Fraternity Meet 2012 a success by their gracious presence. 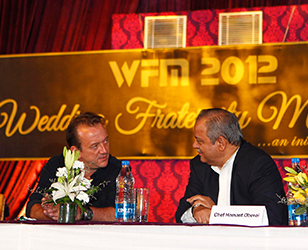 The event saw the presence of people from various walks of wedding arena- be it designers, planners, caterers, floral experts, artistes, photographers and the list goes on…The stage was graced by the internationally reputed experts from the industry- Mr Rob Van Helden (International Floral Designer from UK), Chef Hemant Oberoi (Celebrity Chef), Smt. 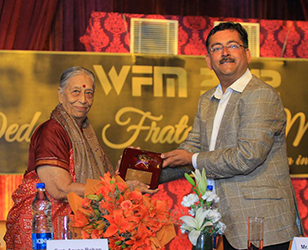 Aruna Behan (Veteran Floral and Set Designer), Mr Jiggs Kalra (Pioneer from Food Industry) who shared their valuable experiences, ideas and thoughts on their area of expertise. 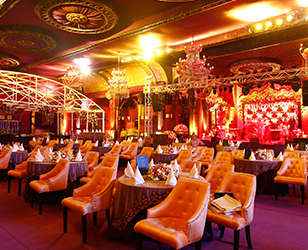 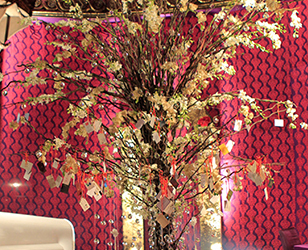 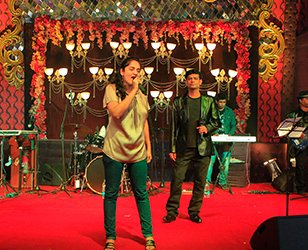 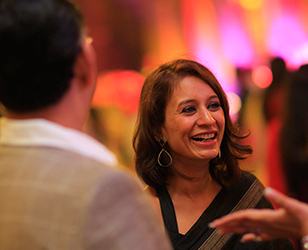 The ambience glittered with the opulent Victorian theme conceptualised by Ferns N Petals. 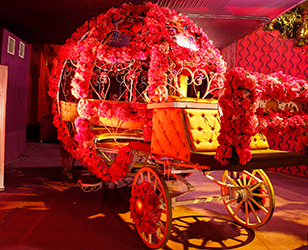 FNP also introduced a majestic ‘Wedding Buggy’ as the finest ride for the upcoming fall-winter wedding season. 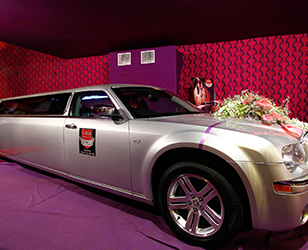 A swanky ‘Limousine’ at the entrance was an eye candy for anybody and everybody at the party. 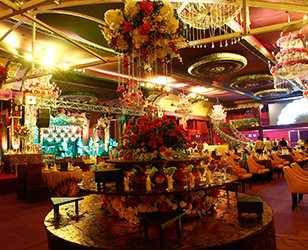 There was also a display of an innovative ‘Baraat Bar’ which can be carried along till the time people in a baraat dance their way to the venue. 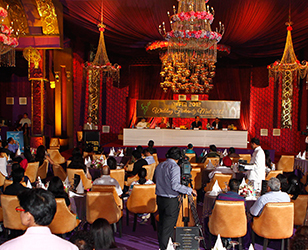 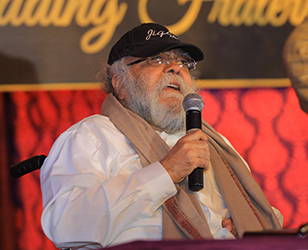 The first-of-its-kind meet and greet of the whole wedding fraternity grooved on the music of ‘Sound Spirit’ band over wine and dine. 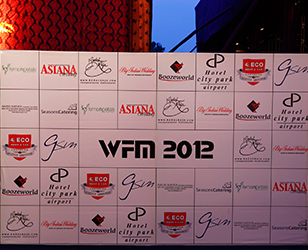 Once again we would like to thank all our esteemed guests as well as our partners- Asiana Wedding, Big Indian Wedding, City Park Hotel, Eco Rent a Car, Boozeworld, Chivas, Badal Raja, GSM, Seasons Catering, Vinay Valet Parking, Ramchandar Chaurasiya Paan without whom WFM 2012 would not have left memories to cherish forever.